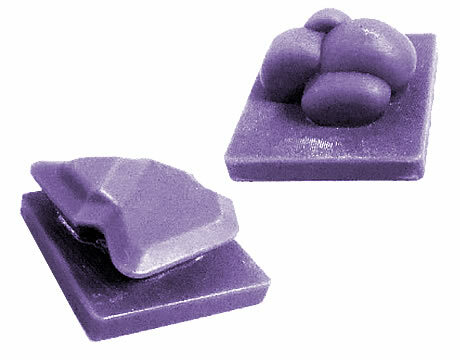 The 3D printed Ballyland© Code sets are specifically designed to support the development of computational thinking and coding with Ballyland© Code 1: Say Hello, Ballyland Code 2: Give Rotor, and Ballyland Code 3: Pick Up. The tactile game grid will enable a learner to better analyze, process, and check the steps/commands that are required to complete the coding challenge in the digital grid on the iPad. Please note that the models of the mini Ballylanders have limited features, and no working parts: Ballicopter’s rotor and Wheelie’s wheels don’t turn. 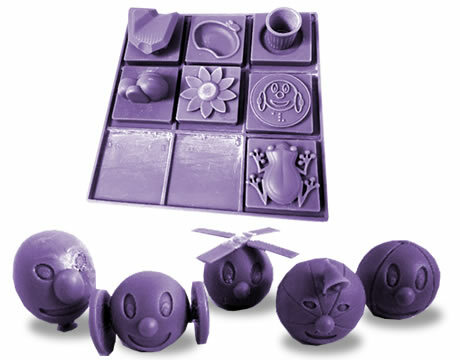 Large scale models of the Ballylanders, with more detailed features (for tactile exploration), can be 3D printed from other files on the Sonokids website. By purchasing either of the packages you acknowledge that you have read and understood the Ballyland Disclaimer and License Conditions as stated below. 1 game grid, 5 mini Ballylanders, and 7 ‘tiles’ (rubbish bin, pond, bushes, rock, frog, flower and coin). Note: Wheelie’s wheels and Ballicopter’s rotor don’t turn. You can put a bit of water in the pond, and tiny paper shreds in the rubbish bin. Size tactile grid: ca. 14 x 14 cm. Height mini Ballylanders: ca. 3 - 4 cm. Width Tiles: ca. 4 x 4 cm. All 5 Ballylanders feature in the Tutorial game (Play with Coding) of Ballyland Code 1: Say Hello. 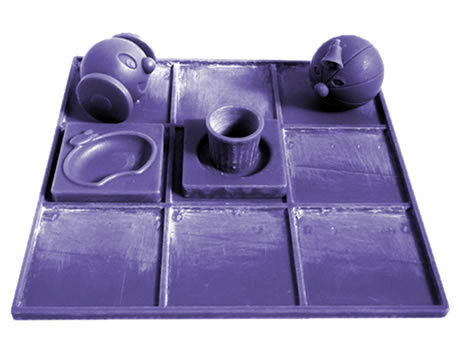 Size tactile grid: ca. 14 x 14 cm. Height mini Ballylanders: ca. 3 - 4 cm. Width Tiles: ca. 4 x 4 cm. Note: Wheelie’s wheels and Ballicopter’s rotor don’t turn. The download consists of one zip-file with 8 .stl files: 1 game grid, 5 mini Ballylanders, and 2 Tiles (rubbish bin and pond). You can put a bit of water in the pond, and tiny paper shreds in the rubbish bin. 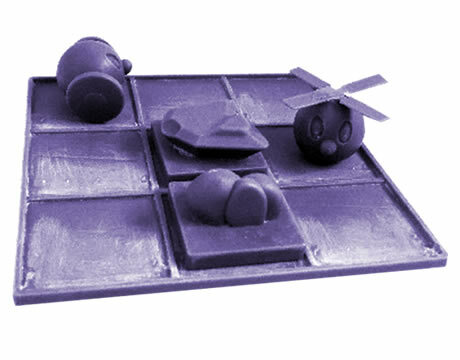 The download consists of one zip-file with 5 .stl files for the Coding Challenge of Ballyland Code 1: Say Hello: 2 mini-Ballylanders (Wheelie, Tinkleball), the tactile game grid, and the 2 obstacle tiles (rubbish bin and pond). Note: Wheelie’s wheels don’t turn. You can put a bit of water in the pond, and tiny paper shreds in the rubbish bin. 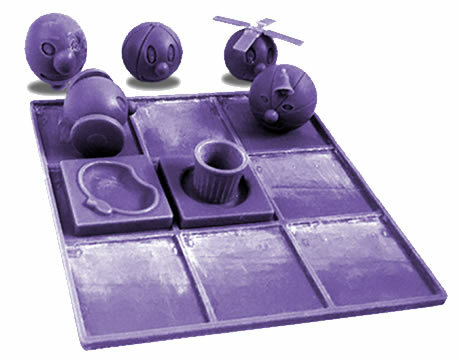 The download consists of one zip-file with 5 .stl files for Ballyland Code 2: Give Rotor: 2 mini-Ballylanders (Wheelie, Ballicopter), the tactile game grid, and the 2 obstacle tiles (rock and bushes). Note: Wheelie’s wheels and Ballicopter’s rotor don’t turn. The download consists of one zip-file with 2 .stl files: the 2 obstacle tiles (rock and bushes) for Ballyland Code 2: Give Rotor. 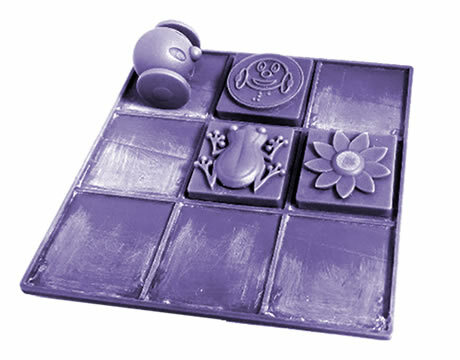 The download consists of one zip-file with 5 .stl files for Ballyland Code 3: Pick Up: 1 mini-Ballylander (Wheelie), the tactile game grid, and the 3 target tiles (frog, flower and coin). Note: Wheelie’s wheels don’t turn. Note that these resources are a learning tool, not a toy. Children should be supervised with the resource at all times. Not suitable for children under 3 years of age. 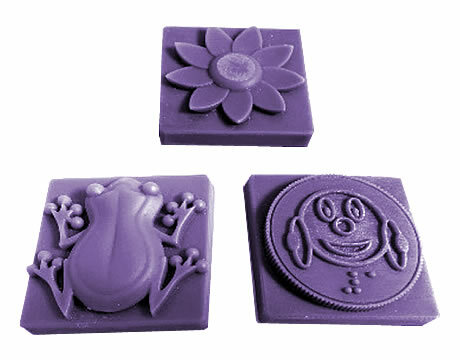 Sonokids does not accept any liability for the print quality of the 3D printed models. Please also note that the models of the mini Ballylanders have limited features, and no working parts: Ballicopter’s rotor and Wheelie’s wheels don’t turn. Sonokids does not accept any liability for any personal or material damage as a result of the 3D printing or further processing and/or use of the learning tool, or any damage to or originating from the learning tool or the production process, or the processing as suggested by Sonokids. Printing, handling, assembling and optional painting is done at Licensee’s own risk. All copyright of the 3D print files for Ballyland© Code apps remains with Sonokids®. Sonokids sells this license that allows you to print the 3D models, or to have it printed by a third party, under the strict condition that you don’t share or resell the file. A license to print explicitly does not give the licensee the right to sell the printed 3D model for financial gain. Schools or other educational organizations may print the 3D models as a learning tool for multiple students within their organization, as long as they provide the tool for free, or at real cost to cover printing, materials etc. By downloading the .stl print files for Ballyland© Code apps, you confirm that you have read the disclaimer and that you agree to the conditions as set out above. The quality of your printed model depends on the quality of the used 3D printer, the printing process and the choice of materials. Depending on your printer, the model may be white or any other color. This depends on the color of the filament the printer uses. 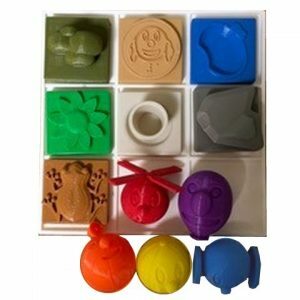 The below image shows the 3D printed Ballyland Code game grid, moveable Ballylanders and tiles printed by Perkins School for the Blind, using filament in many different colors.